Sanford Inspire is a movement of teacher preparation programs committed to improving student outcomes through providing teachers with personalized professional development. Teacher preparation programs who partner with Sanford Inspire improve student outcomes through providing teachers with personalized professional development. Sanford Inspire may be implemented to suit the needs of any institution. 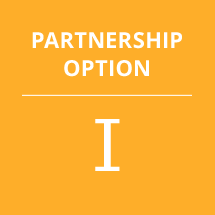 Within each Partnership Option, specific goals and learning outcomes will assure that the universities, school districts, and educators who use Sanford Inspire are uniquely positioned for personal and professional success. During this partnership, institutions learn the philosophy and rhetoric of Sanford Inspire. They adopt the Sanford Inspire framework into their teaching practices, perform a gap analysis on existing teacher education curriculum to determine alignment of Sanford Inspire On-Demand Modules, and enhance academic offerings inclusive of relevant teacher education curriculum to integrate Sanford Inspire. During this partnership, institutions partner with neighboring school districts to bring Sanford Inspire resources to and train PK-12 teachers. During this partnership, institutions work closely with Sanford Inspire to assess the effectiveness of On-Demand Modules with the aim of validating our research, as well as improving the experience for others. Learn how Sanford Inspire can transform your institution.